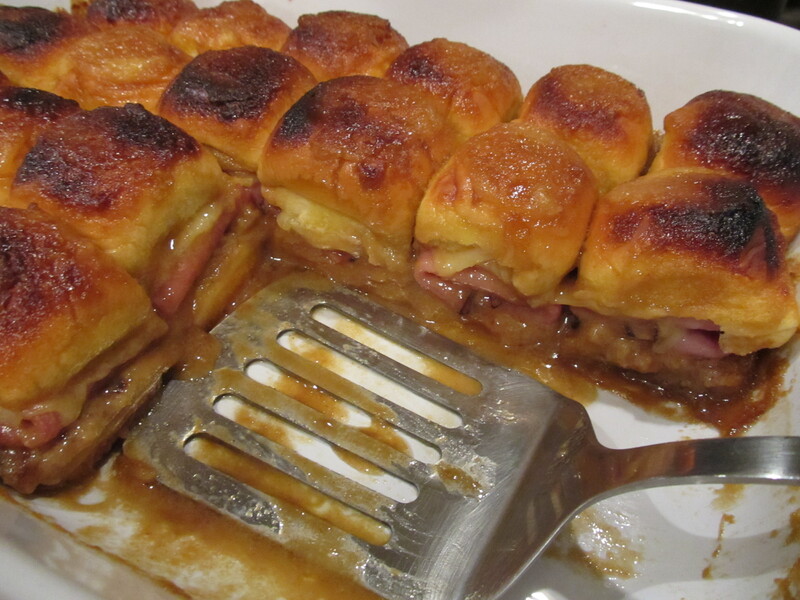 If I had seen this recipe on my own, I would have cruised on past because it looks a bit intricate and timely. That assessment is true; however, the taste is FABULOUS. My friend Mel was having her Halloween party and had asked me to make a couple items. I offered a few ideas of my own and then she requested that I make this one and proceeded to send me the recipe. 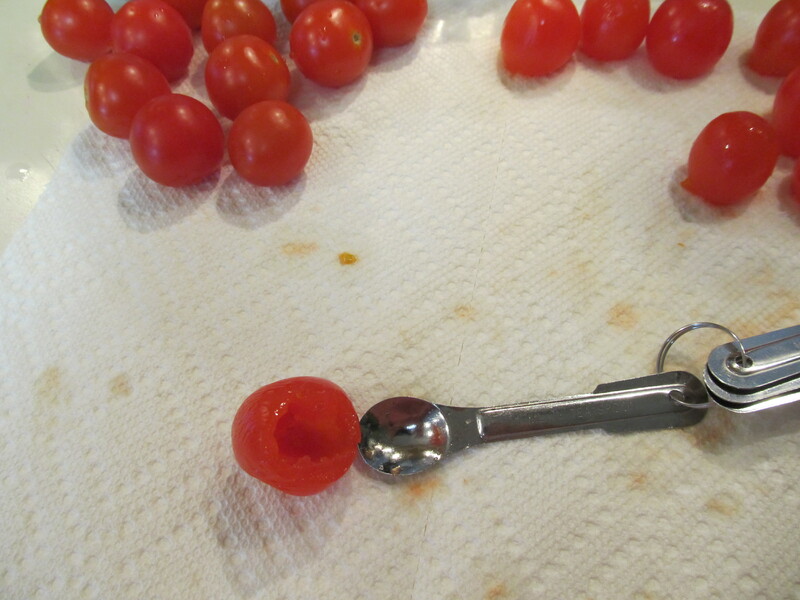 When I read that I would have to stuff cherry tomatoes, I thought they were nuts. And it definitely took a little bit of time, but it was SO worth it. 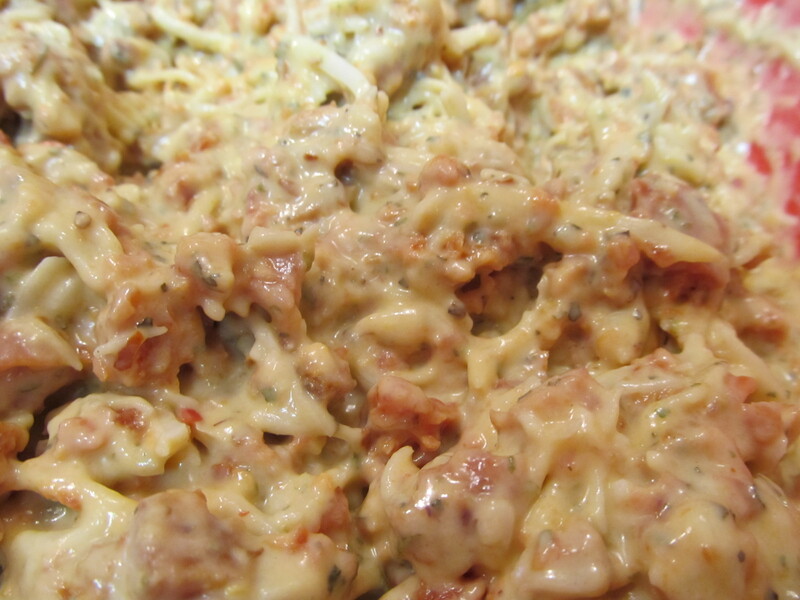 The bacon/mayo mixture couldn’t be simpler to make. And yes, I cheated this time by buying pre-made bacon because I was making 4 things in 5 hours and didnt have time to fry a pound of bacon. But it’s good to know that this is a possibility!! And I figured a way to stuff them a bit easier – use the 1/8 teaspoon of my measuring spoon set. Made it so much better! The taste is just amazing. And they were one of the FIRST things to disappear at the party! 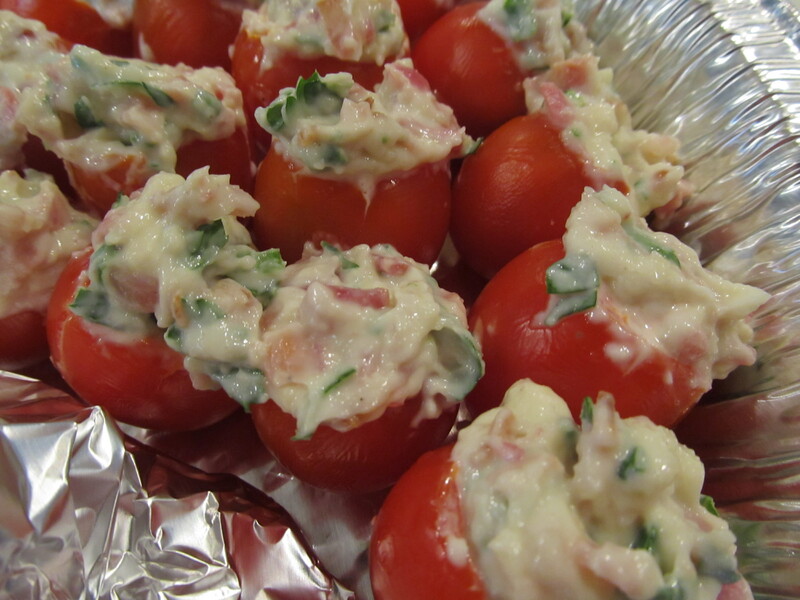 They are tiny and people love to pop them in their mouths…And the bacon-flavor just hits you! I highly recommend this recipe – although I think it’s best for a small party/get-together so that you don’t kill yourself in assembly. 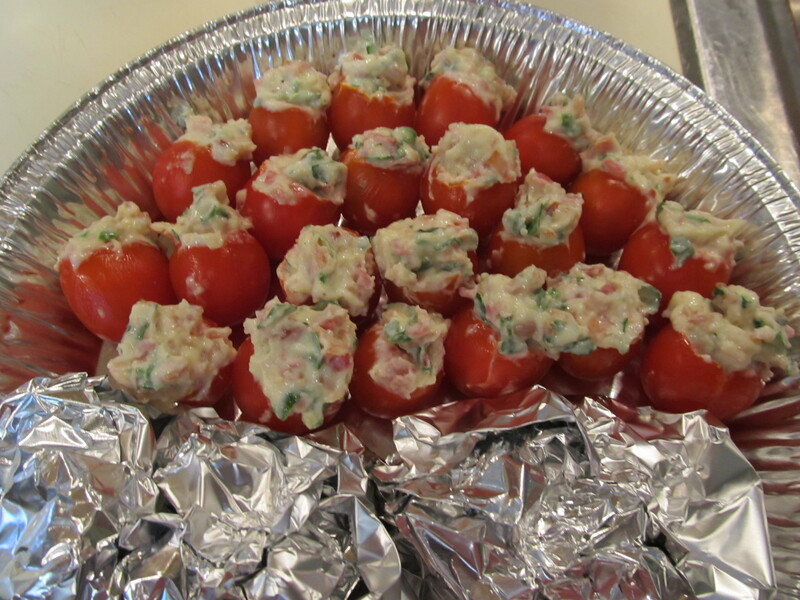 Or you could make this and stuff larger tomatoes as a lunch! Cut a thin slice off of each tomato top. Scoop out and discard pulp. Invert the tomatoes on a paper towel to drain. 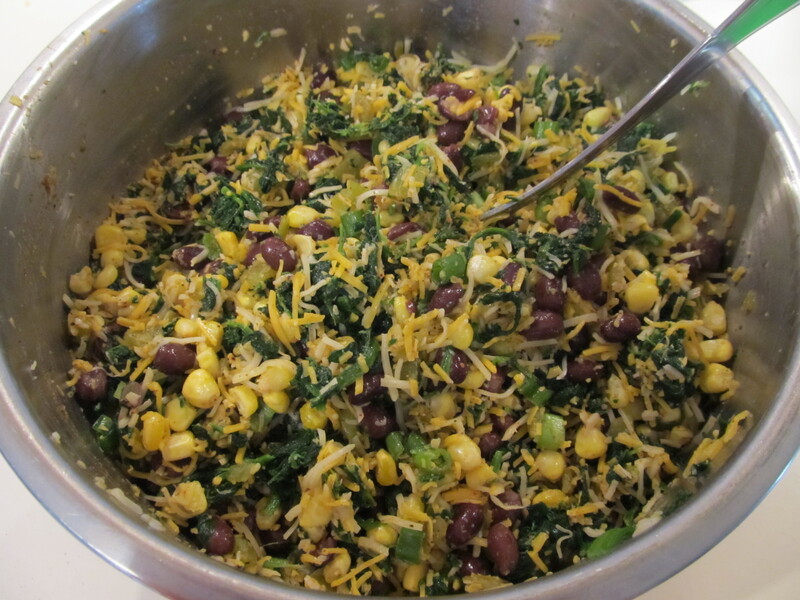 In a small bowl, combine the remaining ingredients. Spoon into tomatoes. I found this recipe online and immediately grabbed it to try. When my friend, Mel, announced she would need some appetizer assistance for her upcoming Halloween Party, it seemed like the perfect opportunity to put it to the test. 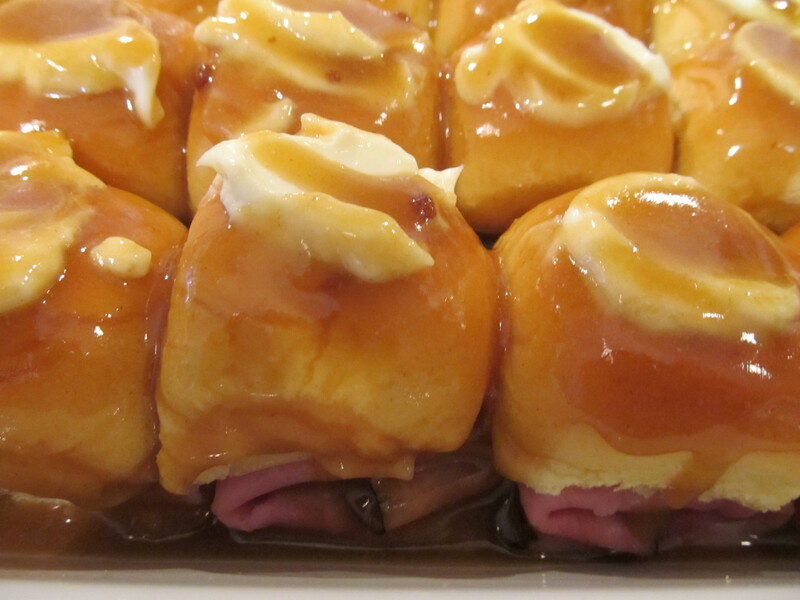 These babies are EASY and AWESOME – two words you want to see when hearing about an appetizer. 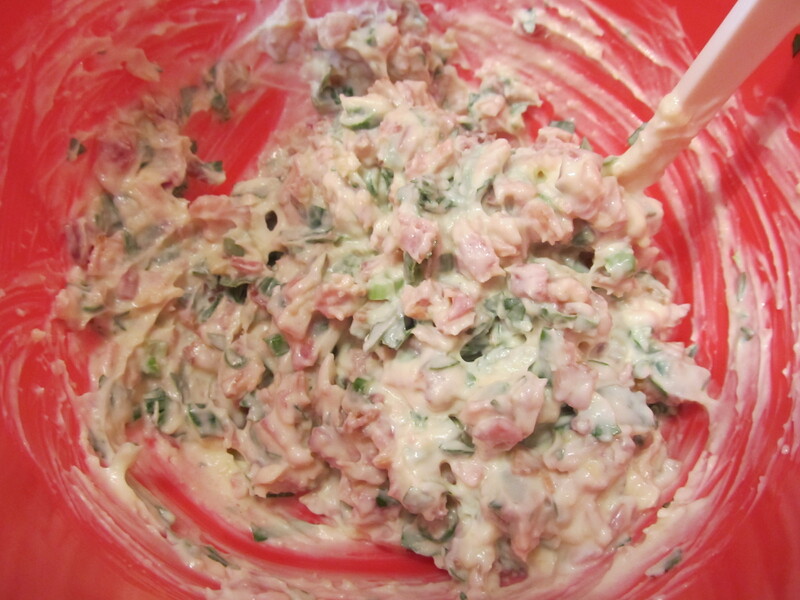 The stuffing mixture is simple to whip together! And then all you have to do is roll it up in egg roll wrappers. What also clued me in that this would be a great recipe, is the “healthy” part of the title. These egg rolls BAKE instead of FRY. They don’t taste “healthy” either – they taste indulgent and delicious. They have a smidge of spice in them from the green chiles and cayenne, too! 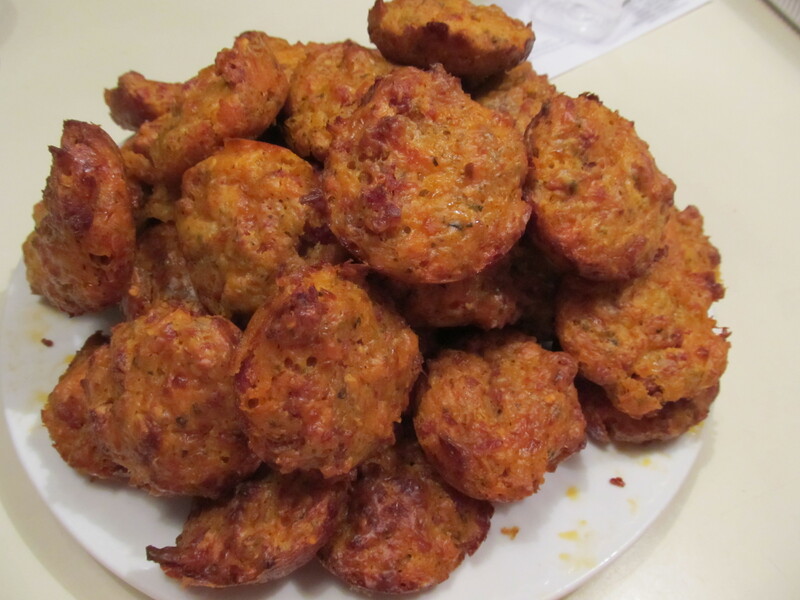 They were a huge hit when I made them – although I caution you to make them a tad smaller than I made them. I think they were huge and definitely a double-triple dipper! Hahaha and no one wants a double-dipper at a party. 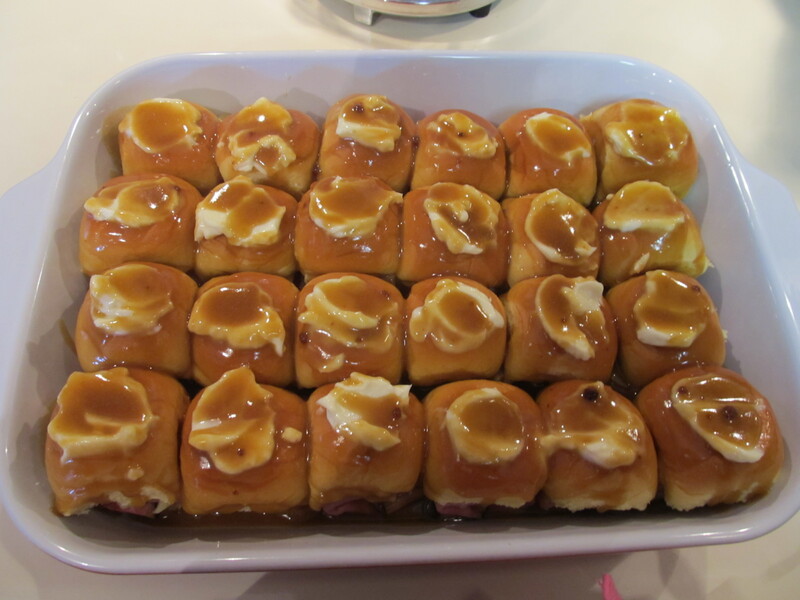 I also made these babies for the Superbowl Party this year and they were delicious…..I’ll be sharing more about my other Superbowl dishes soon! 1. Preheat the oven to 425. Lightly mist two baking sheets with cooking spray and set aside. 2. 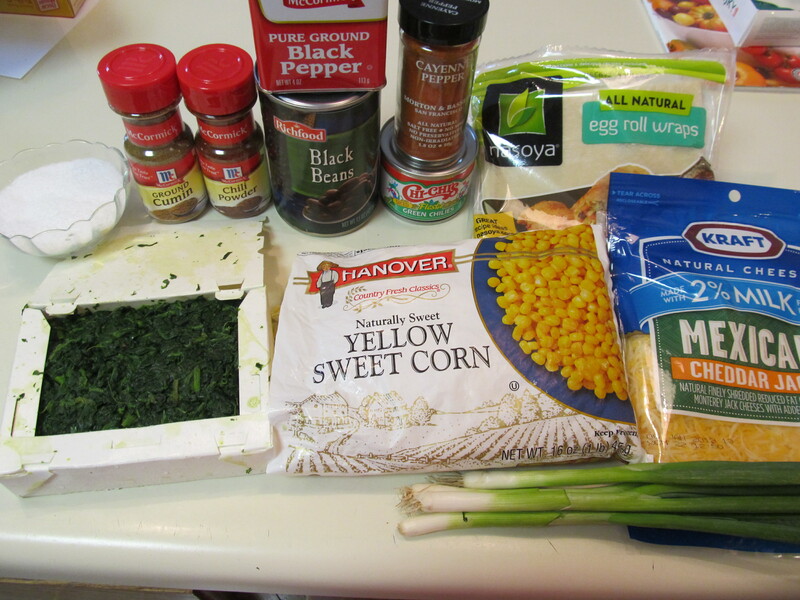 In a large bowl, combine all of the ingredients except the egg roll wrappers and stir to thoroughly combine. 3. Pour some water into a small dish and set aside. On a flat surface, place an egg roll wrapper, corner facing toward you (like a diamond) and put ¼ cup of the mixture from the bowl on the center of the wrapper. 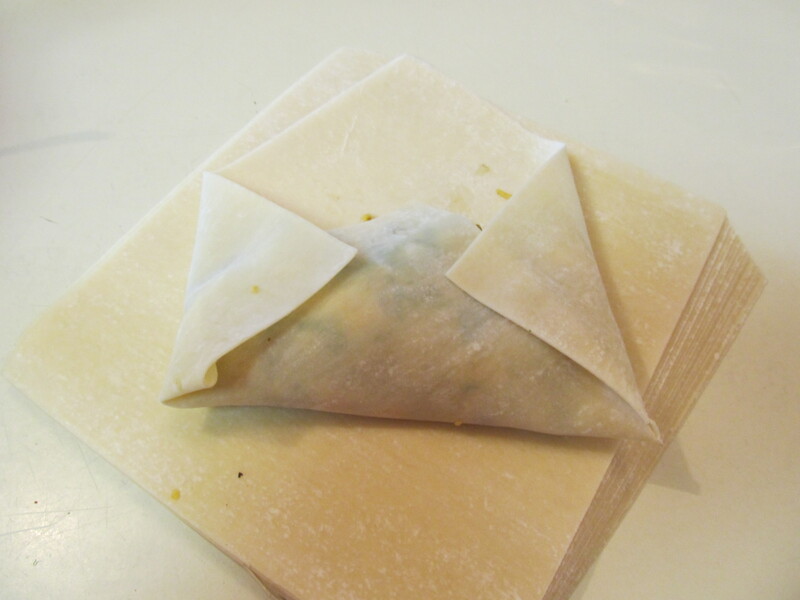 Spread the mixture in a horizontal line from the left corner to the right corner of the wonton wrapper, leaving ½ inch or so of space on each side. 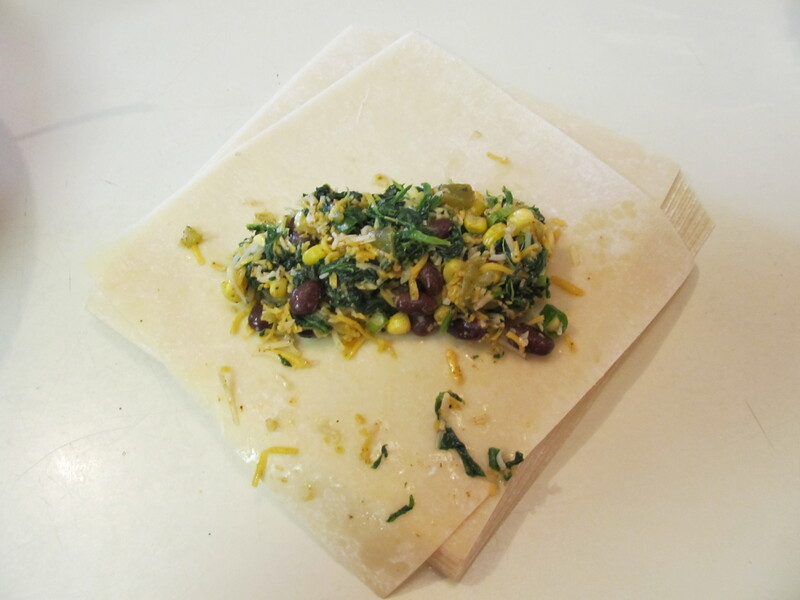 Fold the bottom corner closest to you up over the ingredients and give it a 90 degree roll. 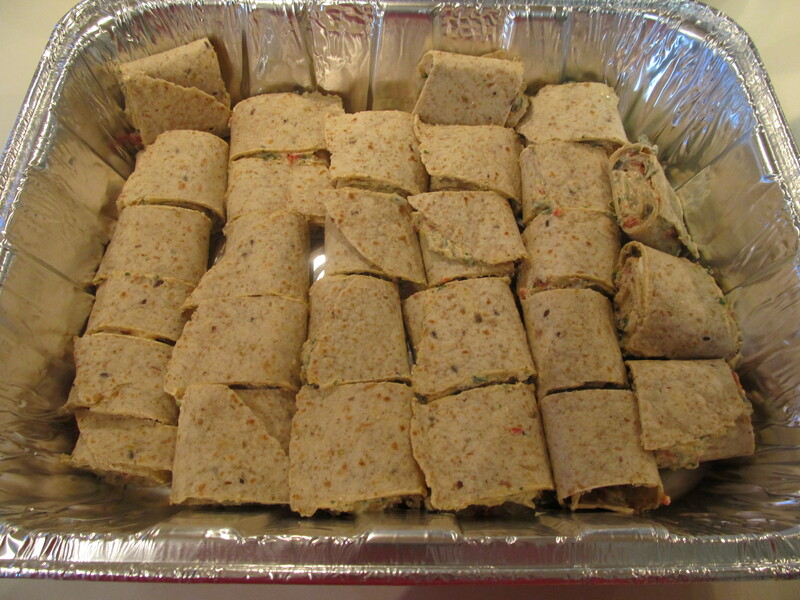 Fold the side corners in and tuck them as you give the filled section another 90 degree roll. 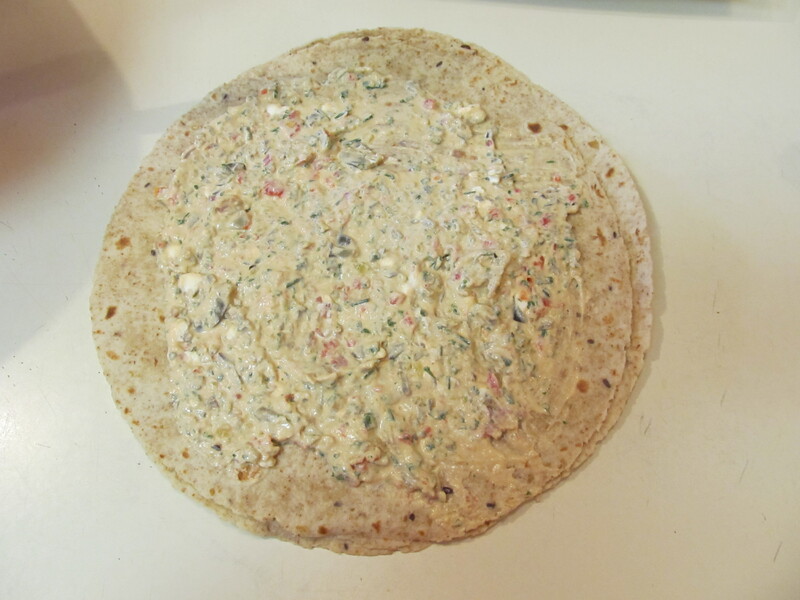 Dip your finger in the dish or reserved water and lightly wet the edges of the remaining top corner of the wrapper. 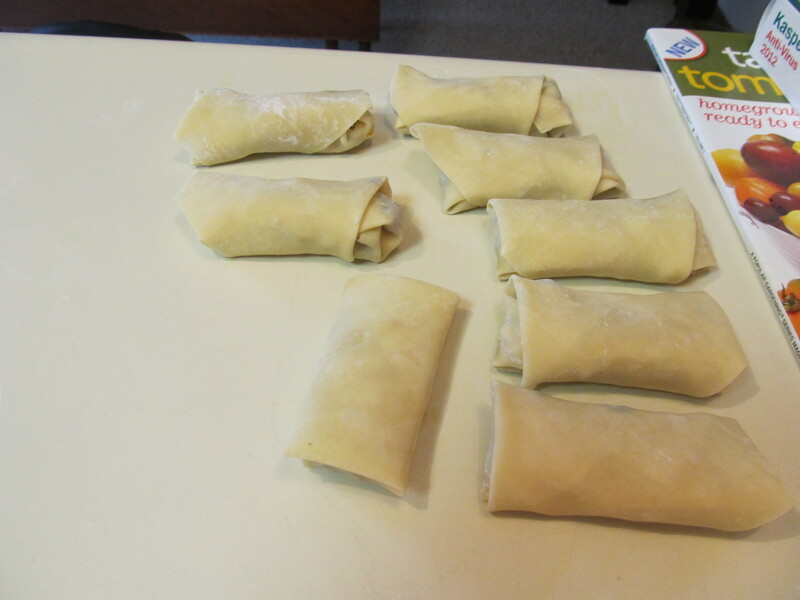 Finish rolling the filled egg roll over the wet corner so that it adheres. 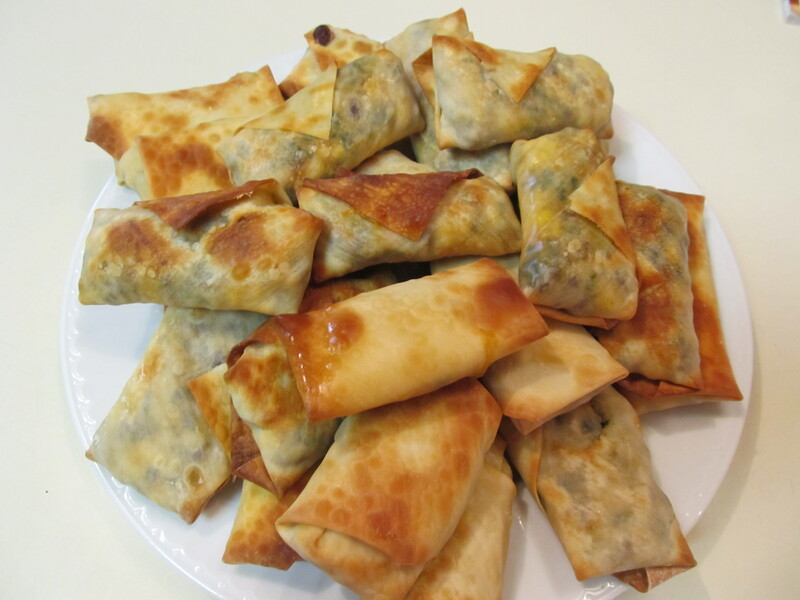 Place wrapped egg roll onto the prepared and OILED baking sheet. Repeat with remaining ingredients. 4. When all of the egg rolls are wrapped and on the baking sheets, lightly mist the tops with cooking spray. 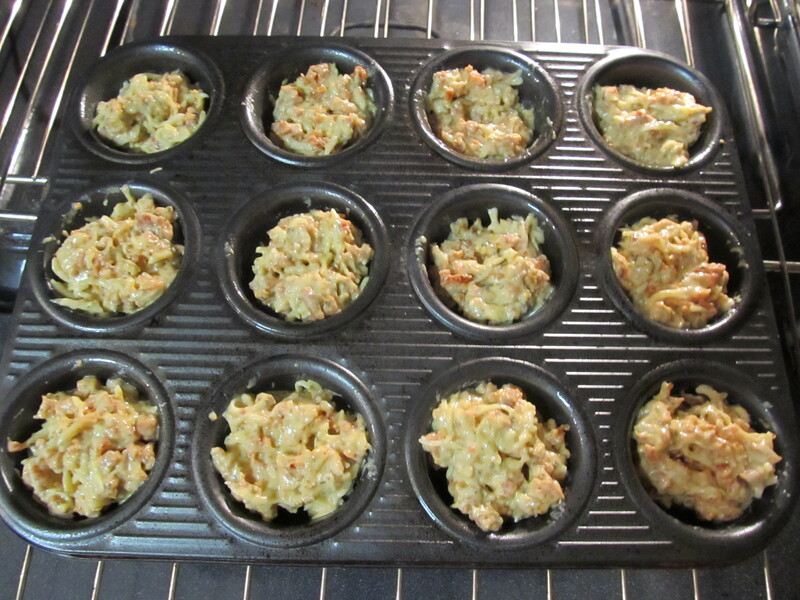 Bake for 14-15 minutes, flipping once halfway through, until the wrappers are golden brown. Serve with salsa for dipping. I saw this recipe online and it immediately grabbed me. Who doesn’t like pizza?!?!?! And little bites of pizza sound wonderful, right? I wanted to try these, but needed a venue/party as an excuse to make them…thankfully Mel was having her annual Halloween party! 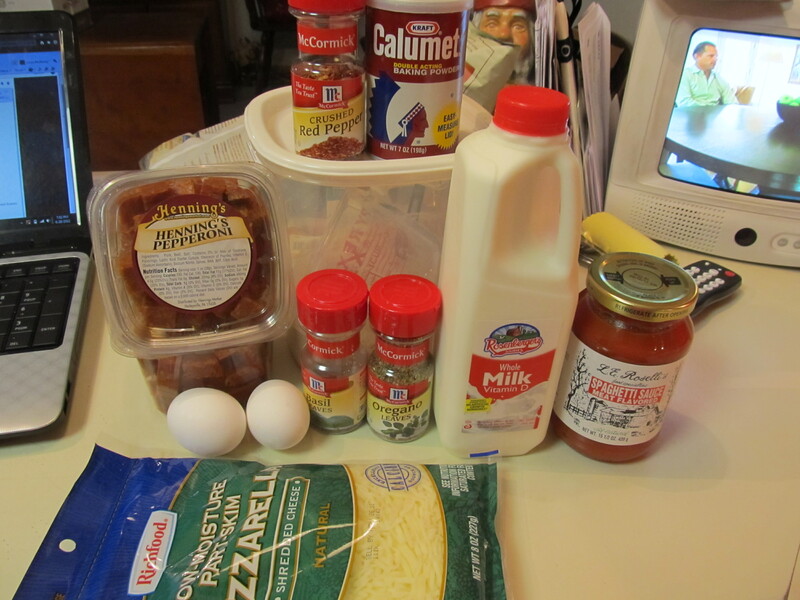 You can either make your own pizza dough, or cheat and use storebought. Since I was tight on time, I cheated and got whole wheat pizza dough from Whole Foods (supposedly the best store-bought pizza dough out there). You are wrapping a slice (or 2!) 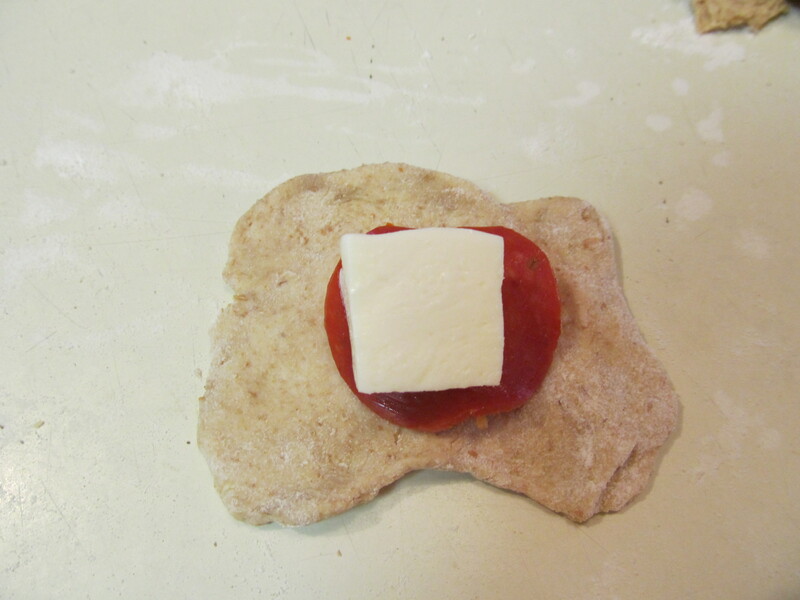 of pepperoni and a bite of mozzarella inside a little wad of pizza dough. 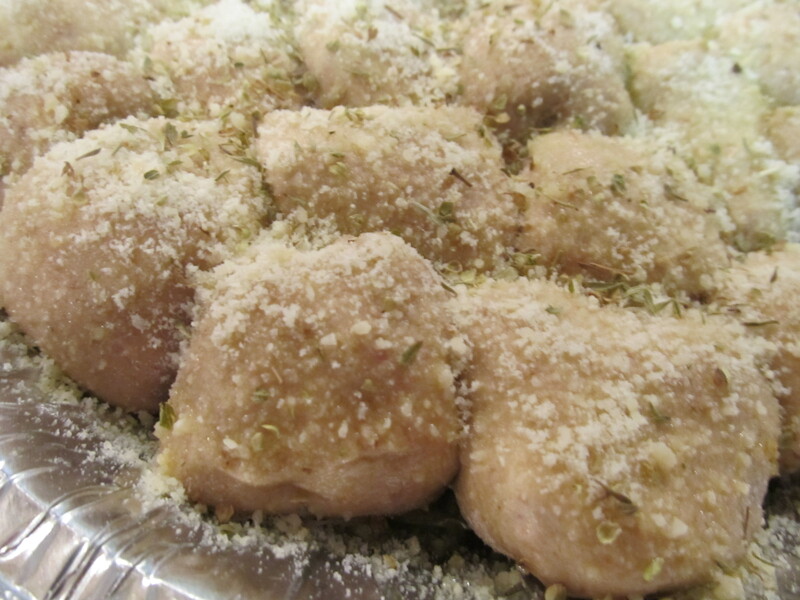 Seal it up, put it in a pan and brush with olive oil, sprinkle with cheese, and sprinkle on some herbs! I found that they are better when they are warm – and you should not overcook them. So watch the cooking temperature and time! Serve with warm marinara or pizza sauce. 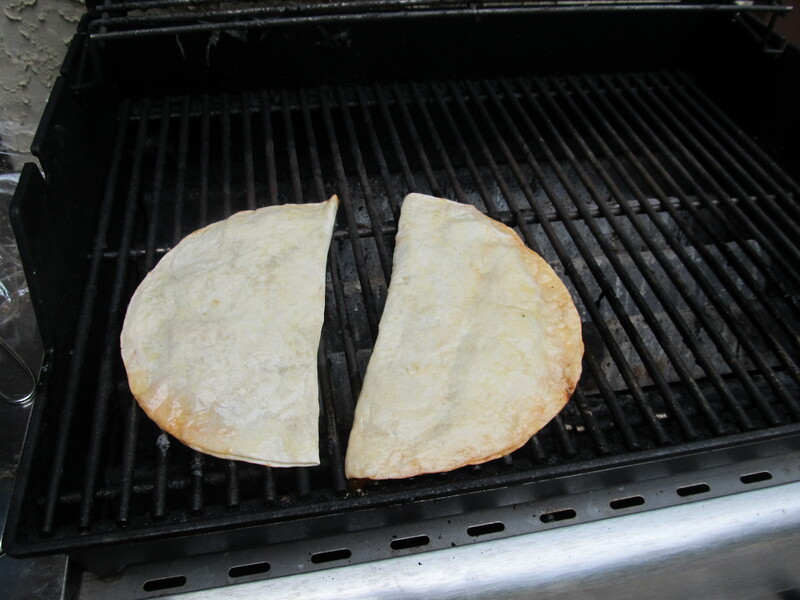 Preheat the oven to 400˚ F. Lightly grease a 9-inch pie plate or cake pan. 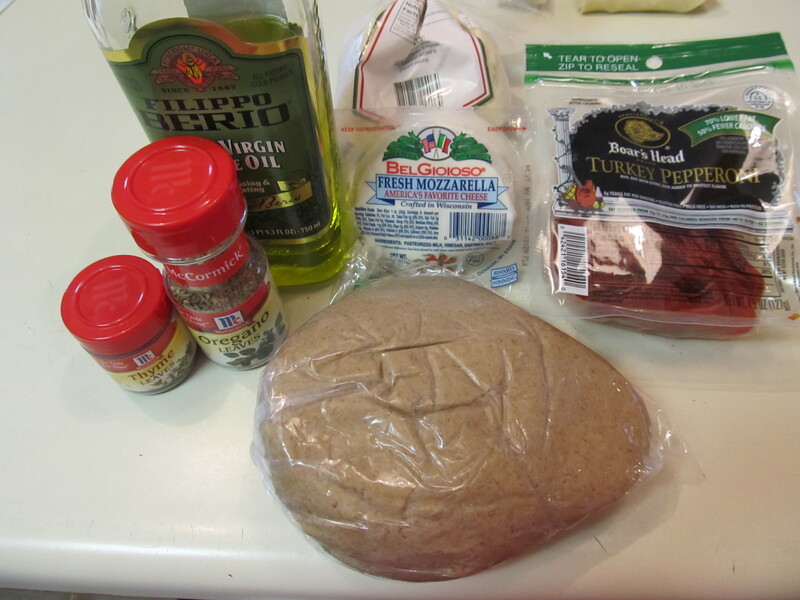 Divide the pizza dough into 20-24 roughly equal sized pieces. 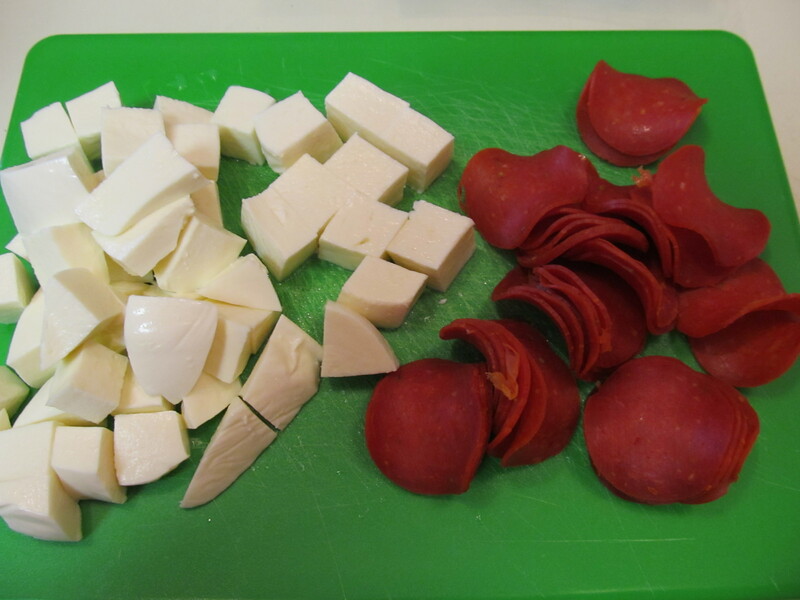 Take one of the dough pieces, top with a cube of cheese and a slice or two of pepperoni. 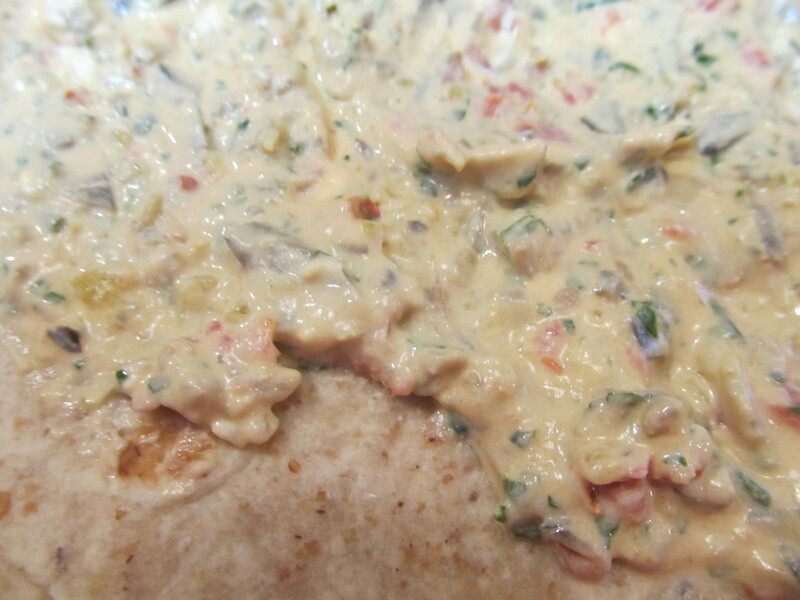 Pull the edges of the dough around the fillings and pinch closed. 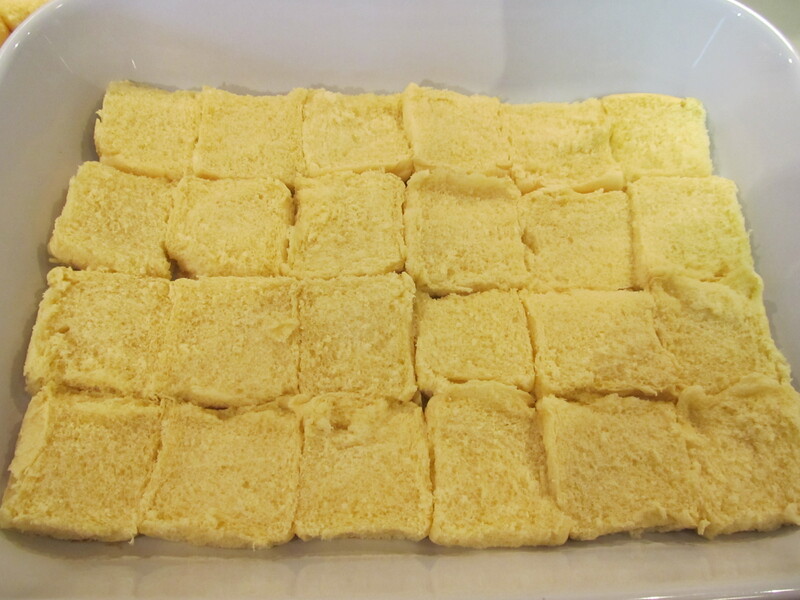 Place seam-side down in the baking dish. Repeat with the remaining dough pieces. 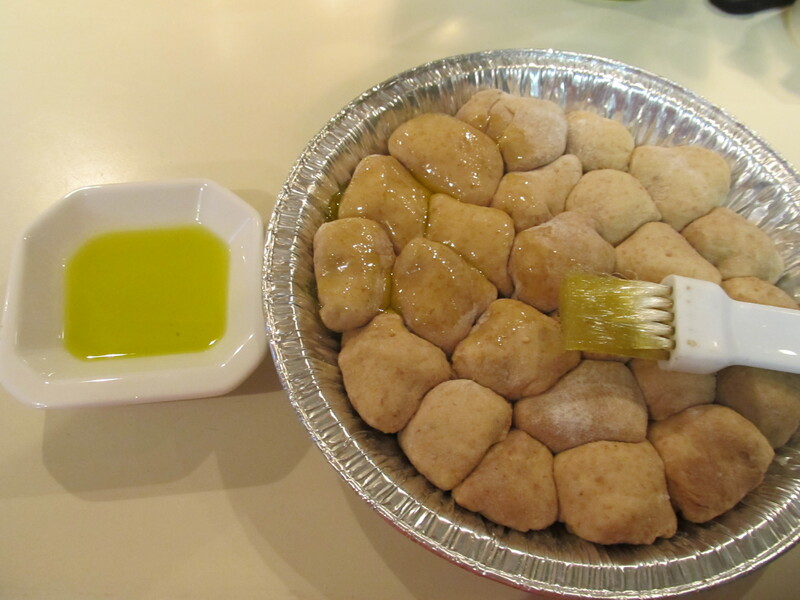 Lightly brush the tops of the dough balls with olive oil. Sprinkle with Italian seasoning and grated Parmesan cheese. 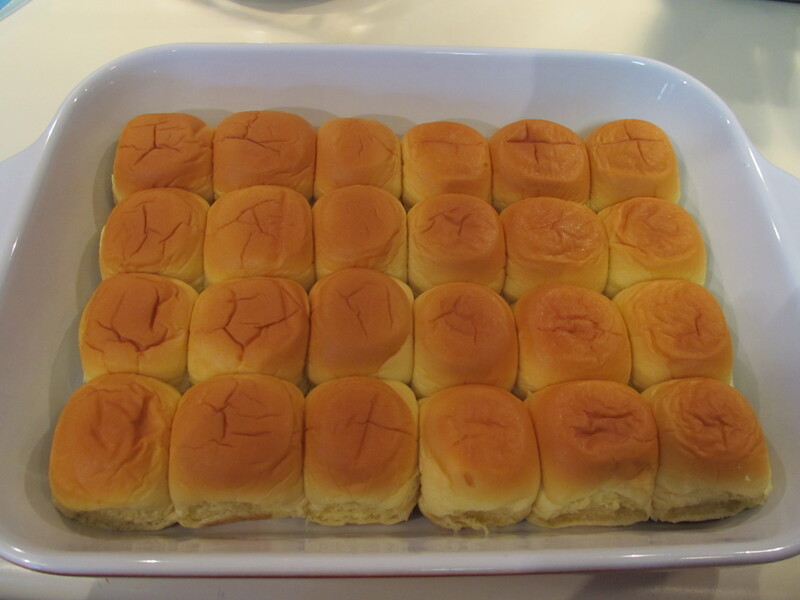 Bake for 20 minutes, or until the tops are golden brown. 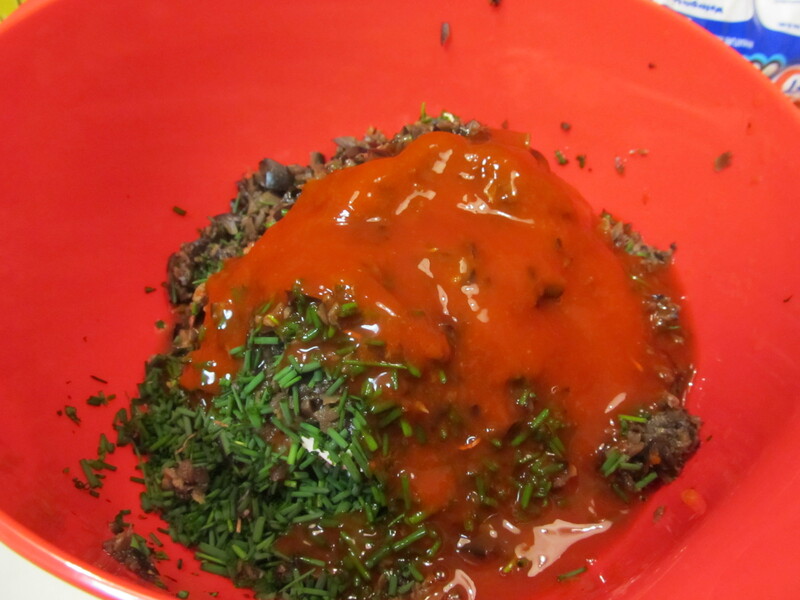 Serve warm, with dipping sauce as desired (I used marinara sauce). 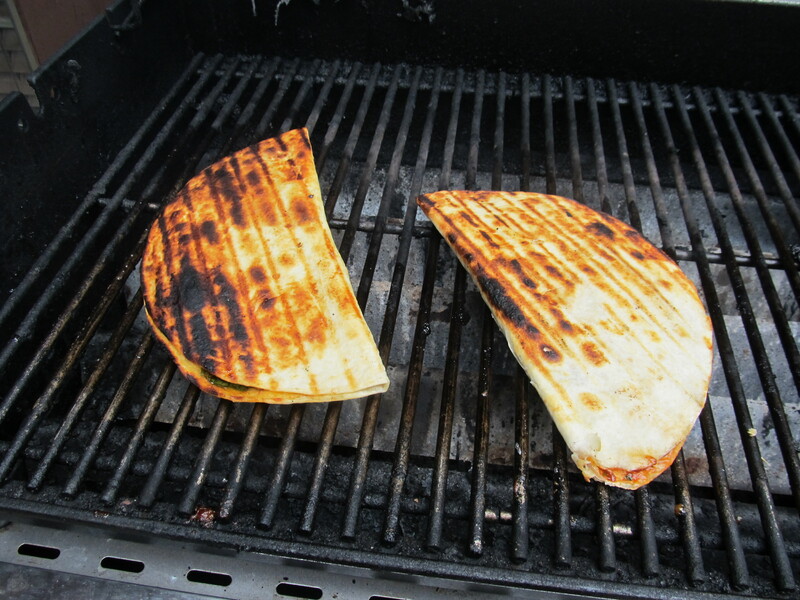 My brother and sisterinlaw, Julie and Pat, have been bringing these delicious veggie quesadillas to our summer pooldays for years. They are so simple and yet so tasty. 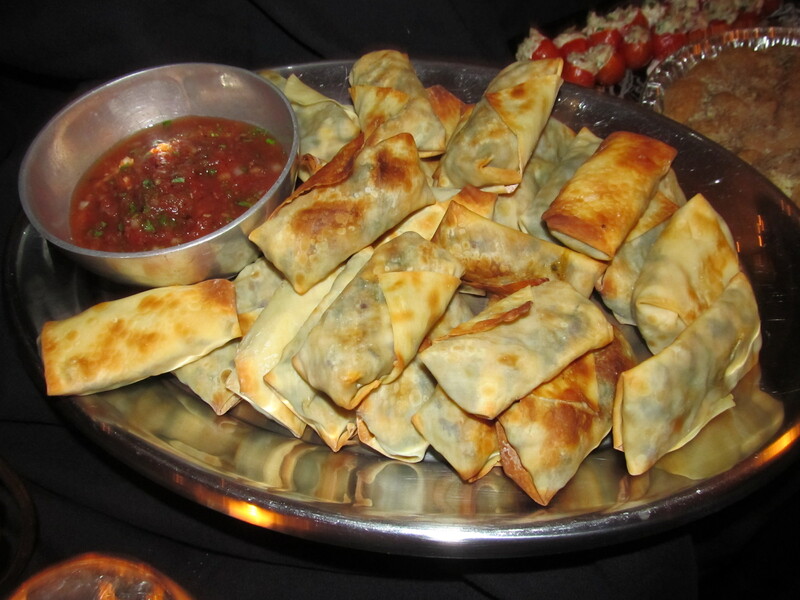 They are filled with different veggies and varying degree of spiciness. So you can easily customize and adapt to your audience. 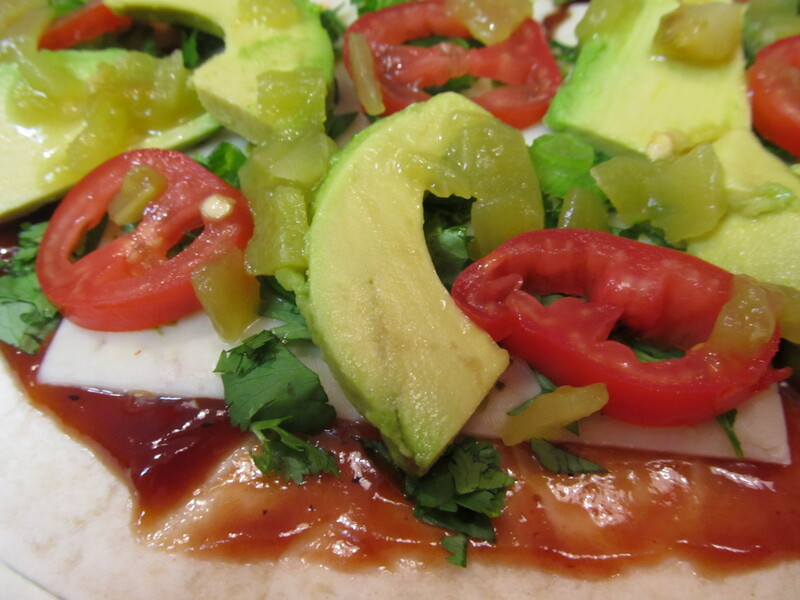 I dont know why, but they call them “dillas” for short – so we have all adapted the name. They are rather simple to make – just take a little bit of time, between chopping up the vegetables and cilantro and then assembling. It really is best to assemble them the day before so that they meld together. And hey, look at it this way – it’s one less thing you have to do the day of a get-together or party! 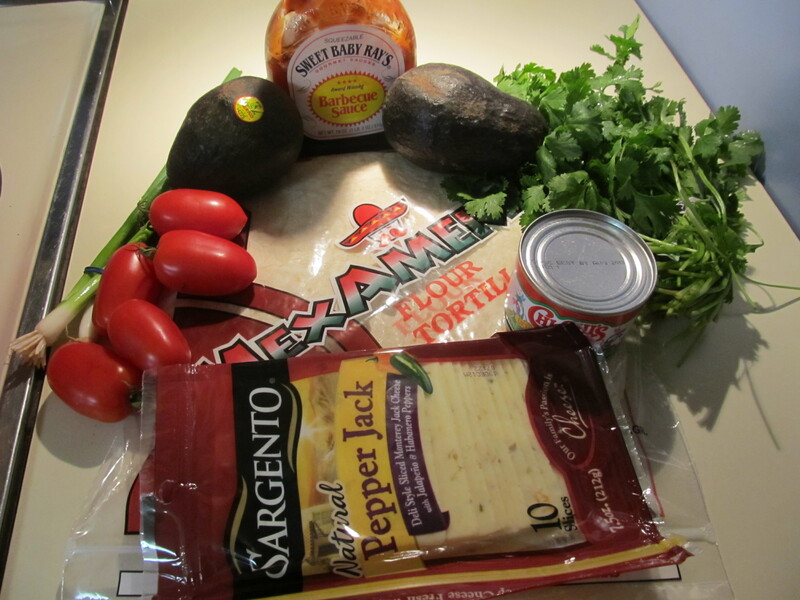 This recipe makes about as many tortillas as come in a standard package – for me, it was 10. These things are huge. 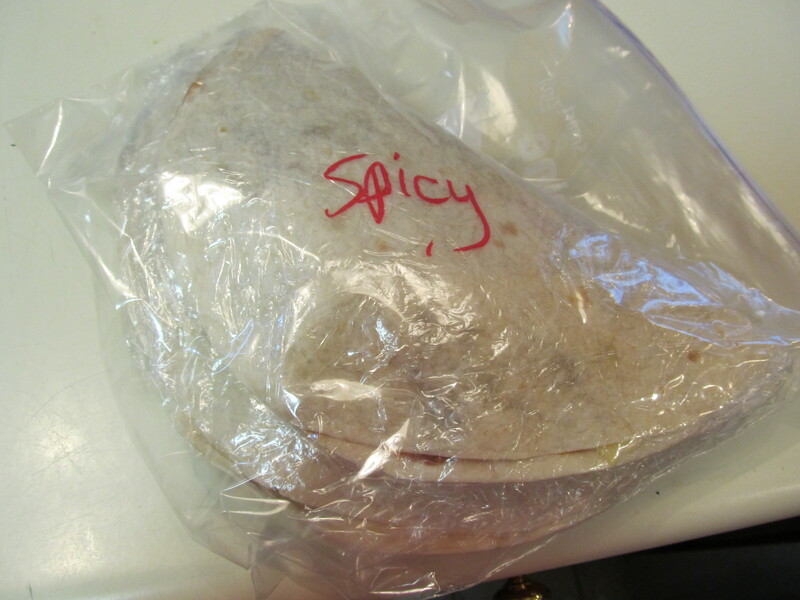 I customized them for everyone who was at Supper Club Summer Picnic Night (spicy or non-spicy) and labeled them all. That’s why this recipe is great – it’s so customizable! Make sure to cook them low and slow on the grill. I cooked mine a bit too quickly and I didnt get a good enough melt on the cheese. 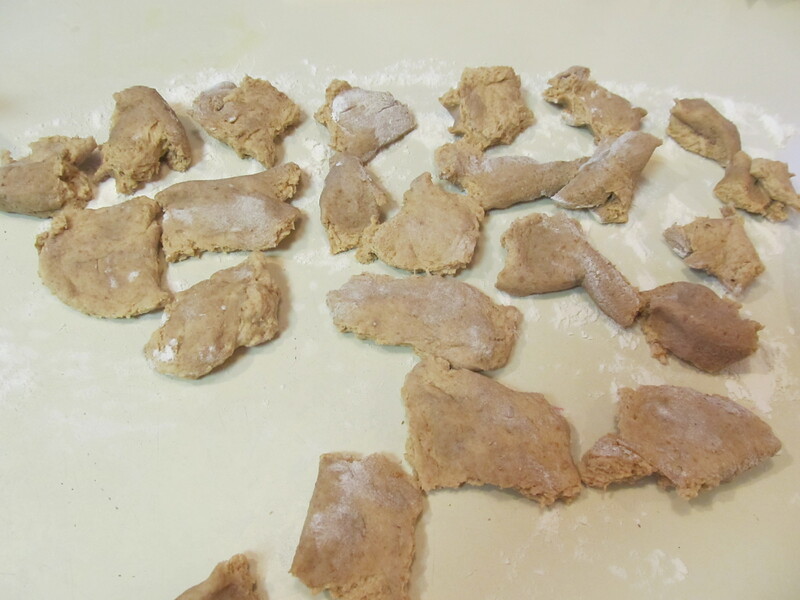 Once they are done, we usually cut them into thirds or fourths and put them on a platter for everyone to snack on. They dont need any condiments, although you can certainly use some if you like. These are DELICIOUS! 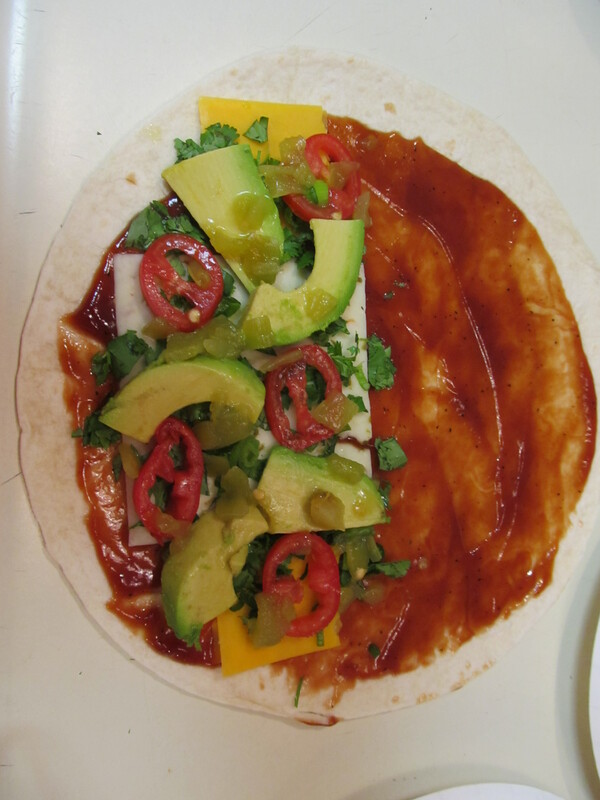 Schmear BBQ sauce on tortillas. 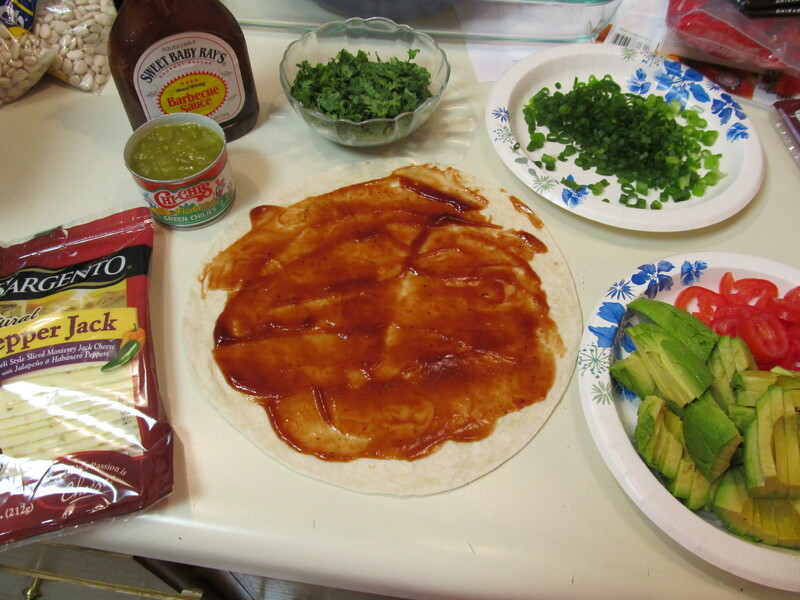 Place all other ingredients just on one half of tortilla so it can be folded over. 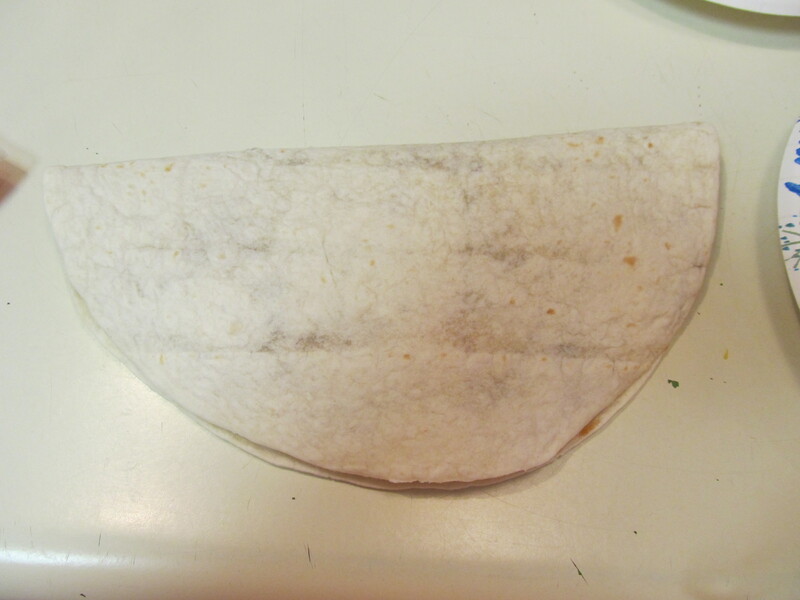 Fold tortilla in half and after making each one, wrap in plastic wrap separately. Store overnight (preferred) or use immediately. These are best if assemble the day before grilling so flavors are allowed to mingle. When ready to cook, brush with butter and then place on medium-high grill. Grill on low heat until cheese is melted, about 5 minutes or so. Make sure to flip over during grilling. I saw this recipe online last December and bookmarked it for a later time. When tasked to try something different to bring to John and Jeff’s Gay Wine Poolday last weekend, I found it and made it! 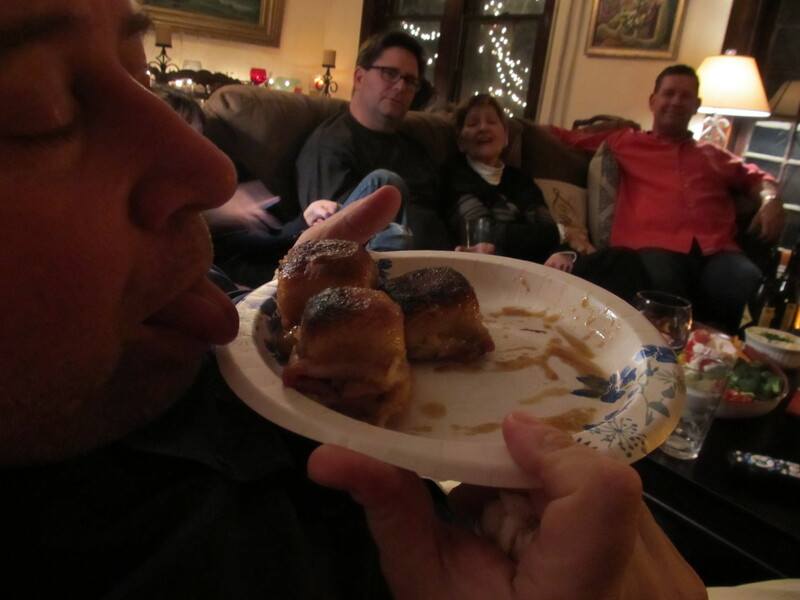 I wasnt sure how it would turn out…but when I asked Robb to taste-test, he immediately said with enthusiasm, “These are going to be gone in NO-TIME tomorrow. Everyone is going to eat the s*&t out of them”. Annnnnnnnnnd, he was right! They were a HUGE hit. 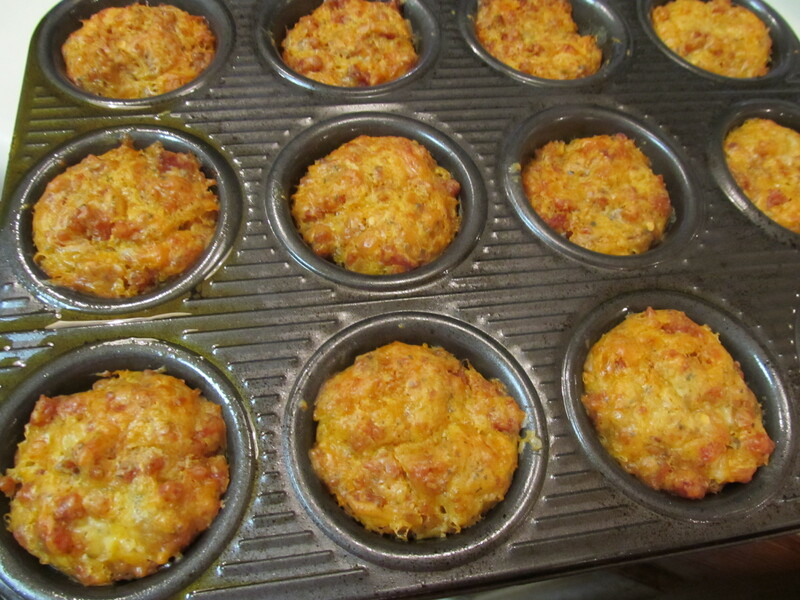 They look more like flattened muffins, but the taste was ALL there. 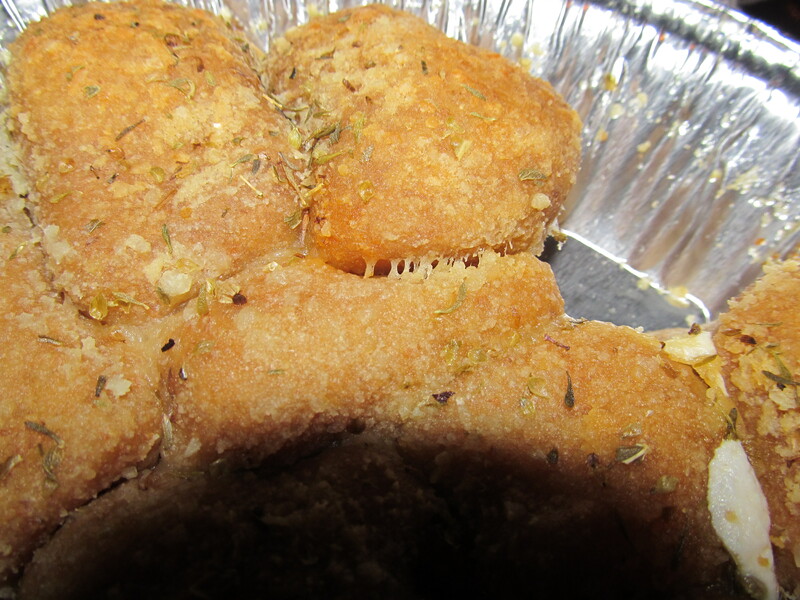 I think next time I might cut back on the crushed red pepper flakes – depending on my audience. They were definitely spicy but nothing you cant handle. Get ready to bake, muffins! 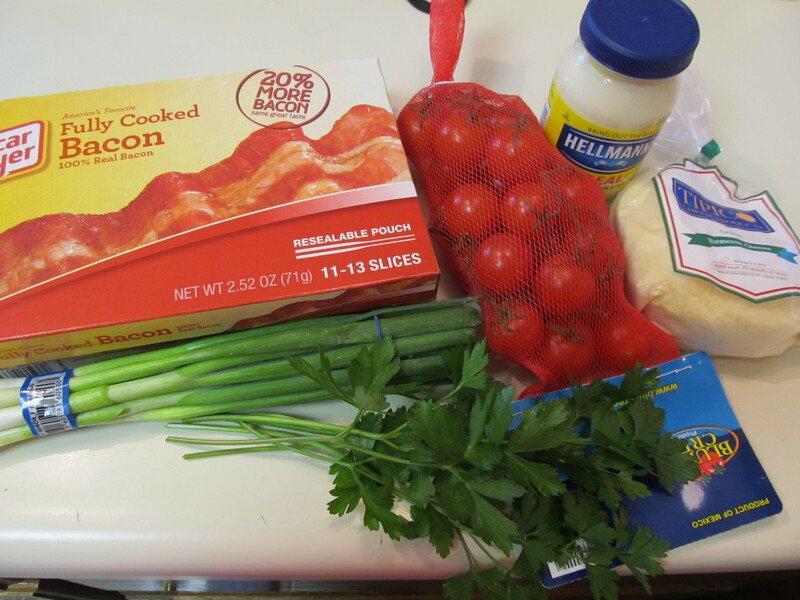 Next time I want to try variations and see what happens by adding sausage or bacon and maybe some tomatoes! Soooo good. Dip in marinara sauce! 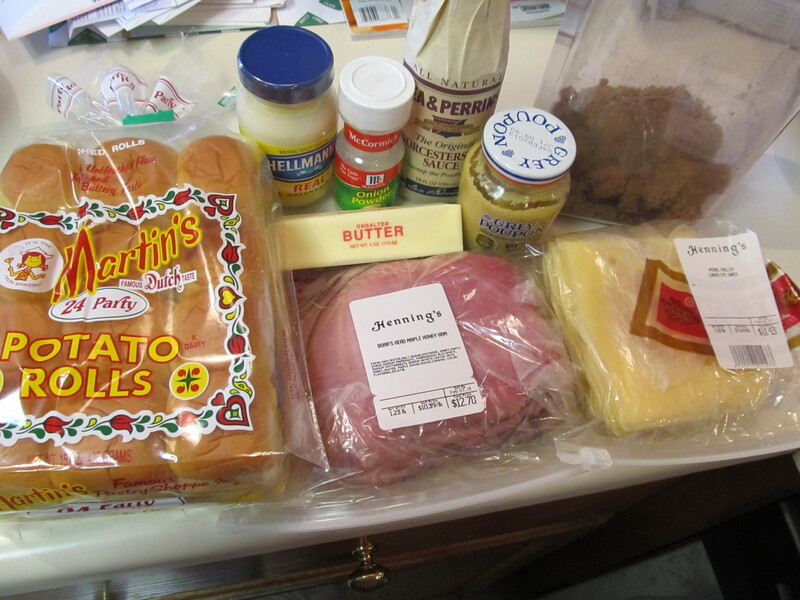 Preheat oven to 375 degrees and combine the dry ingredients. Whisk in 2 eggs. 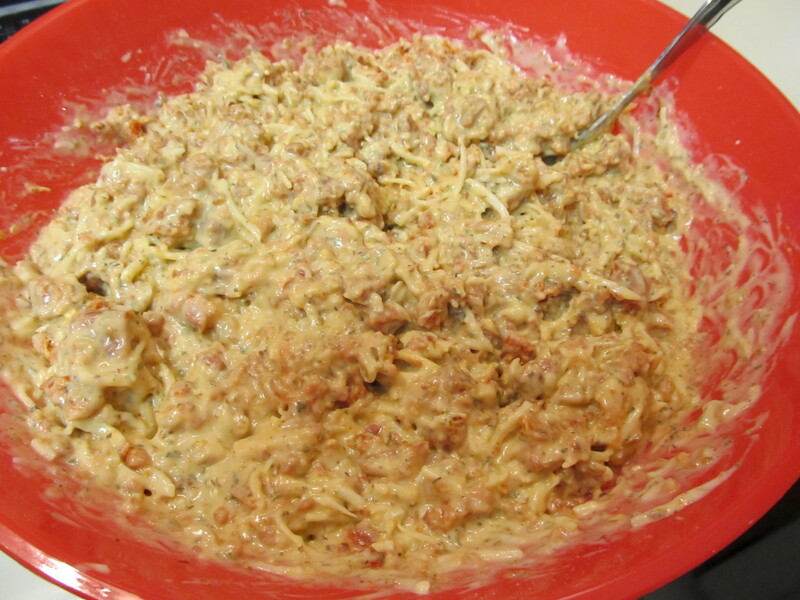 Shred the cheese, chop the pepperoni, and add them to the mixture. Stir together. 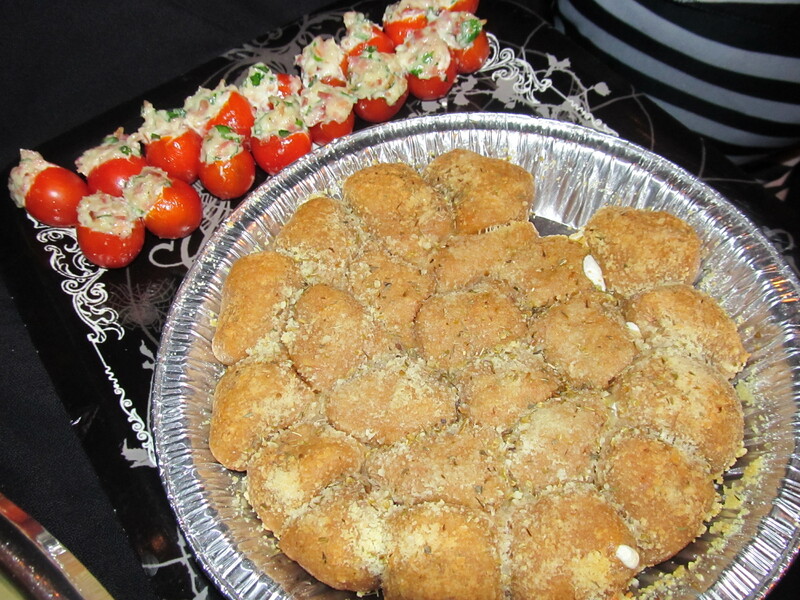 Let them cool for a couple of minutes and serve with warm marinara sauce! I found this recipe on Allrecipes.com. I tried it on a whim last year to bring to a picnic and fell in love with it immediately…..so did everyone else! 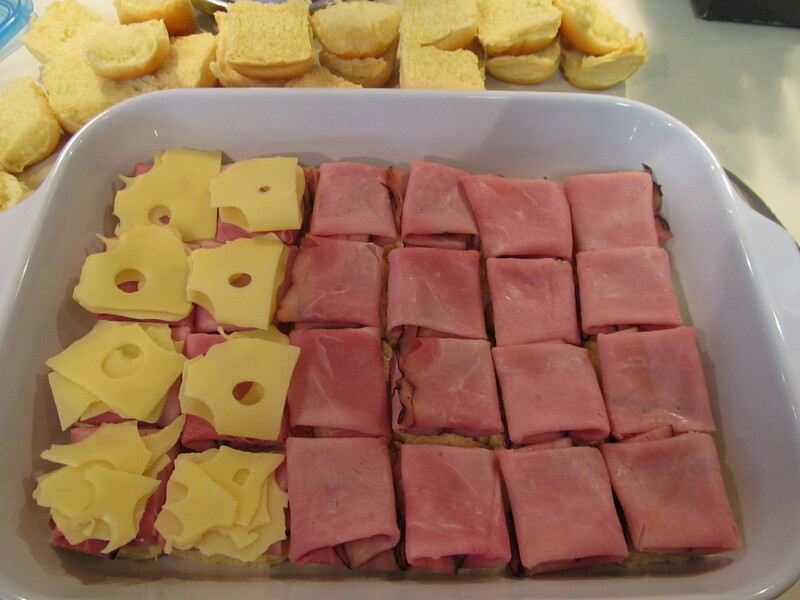 This is PERFECT to bring to a picnic/party/BBQ/tailgate/whatever! It’s the right amount of spice and creaminess and zing! You can control the heat in this recipe and adjust it accordingly for your audience. I’ve made it REALLY hot before (not as good) and I’ve made it not-so-hot before (also, not as good). It’s best to find a good medium. These wrap-ups are super easy to throw together the night before, too! I love do-ahead recipes. I made these most recently for a Dave Matthews Band tailgate in Saratoga Springs, NY (SPAC). It was a huge hit and they keep well! 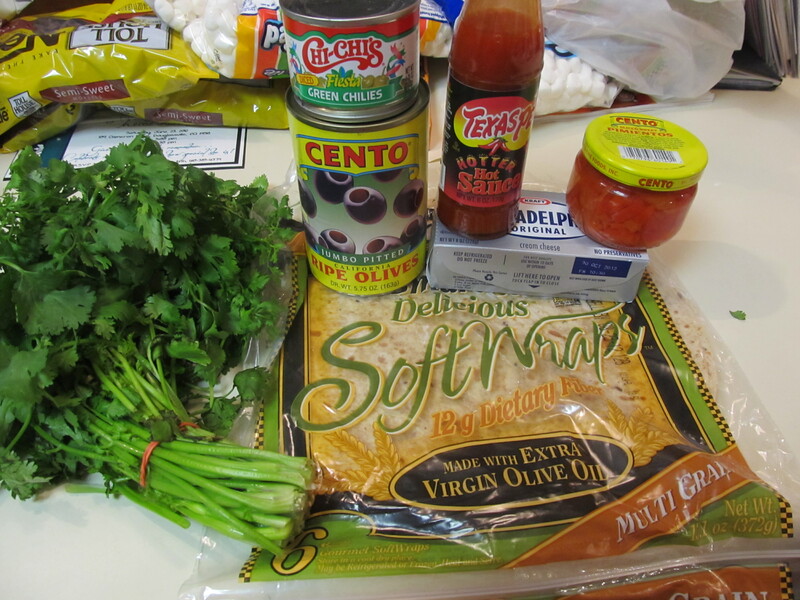 In a medium-size mixing bowl, combine cream cheese, olives, chiles, pimentos, green onions, hot sauce and fresh cilantro. 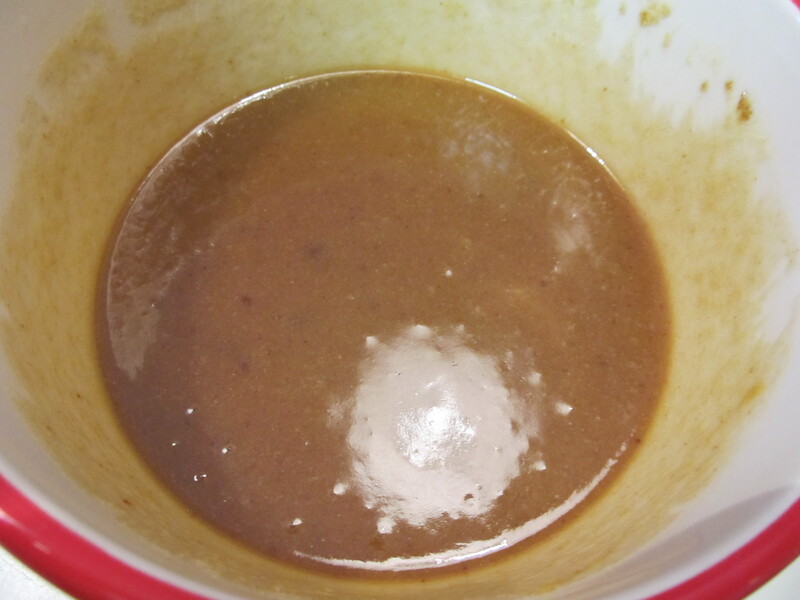 Spread the mixture onto tortillas. 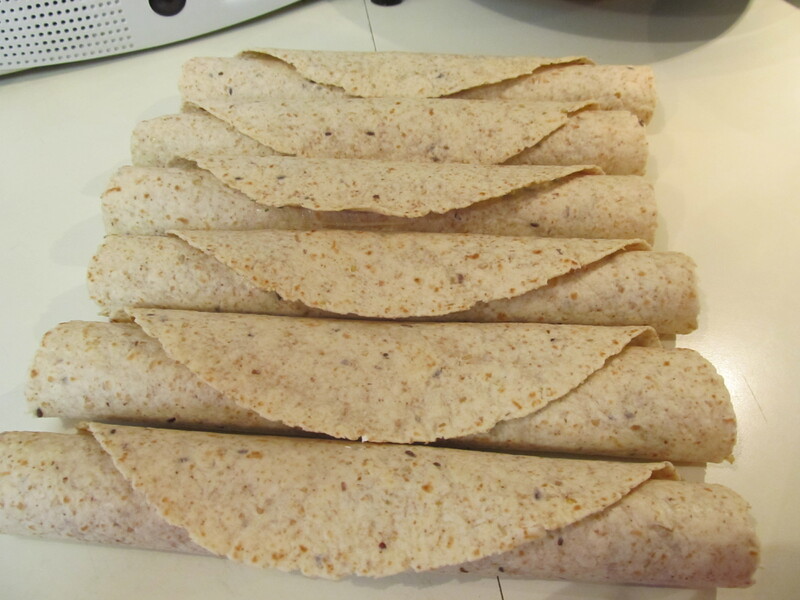 Roll the tortillas up and refrigerate for at least 1 hour. Slice the roll ups and serve.